Since I’ve started this site my head has been spinning with ideas for things to crochet, from slippers to cute and cuddly amigurumis, to tote bags, to blankets. The one thing that I keep coming back to is granny squares. I just love granny squares, they are so pretty and versatile and relatively easy to make (unless you start going into the crazy 3D stuff). A granny square is the first thing I crocheted, painstakingly trying to follow a (right-handed!) YouTube video. I wish I still had the link because that video changed it all. So for the love of crochet and squares, I set myself the challenge to create one new square a month and share the pattern with you. 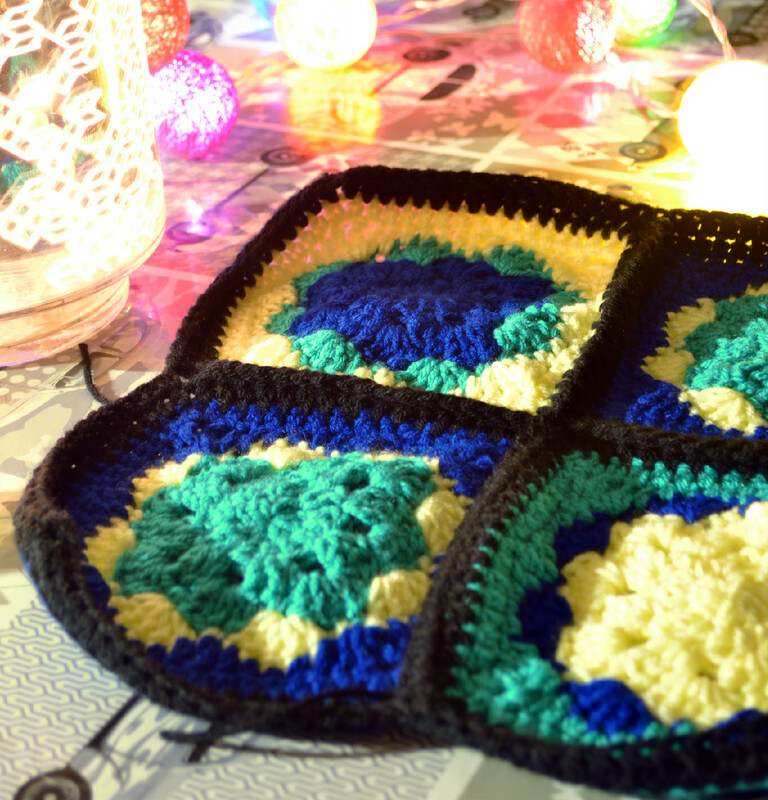 These will be granny squares, corner to corner (C2C) squares, or whatever other square I can think of. Without further ado, here is the first Square of the Month in the Slippin’ Stitch’s history. My granny square turned out to be around 17 x 17 cm or 7″ x 7″. If you choose a different yarn weight (which you can totally do), your square will be a different size. Just make sure you choose the right hook to go with the yarn you’re using. ch1, hdc all the around. In the ch1 space of the corners add: hdc, ch1, hdc. sl st to join. Fasten off. Now you’ve completed our January Granny Square. I created a couple of them, switching around the colours to make different variations. Because I wanted to join them all together with black, I added another row of hdc’s in black to each square and then joined them together with a row of single crochets. I hope you’ve enjoyed this Granny Square Pattern! I’m looking forward to see how yours turned out. Love the pattern. Easy to follow and different from what I usually do for granny squares. Will definitely put this pattern in my favorite list.